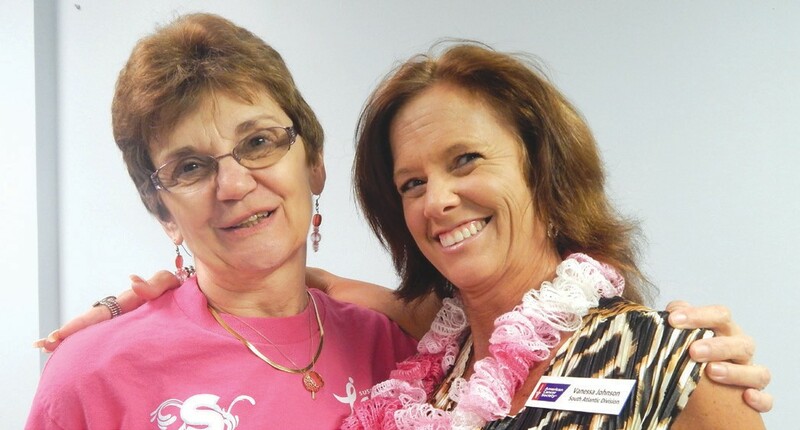 Nancy Welcher, (pictured above left) is a breast cancer survivor who was diagnosed in 2010 at a routine mammogram screening. She had no family history. 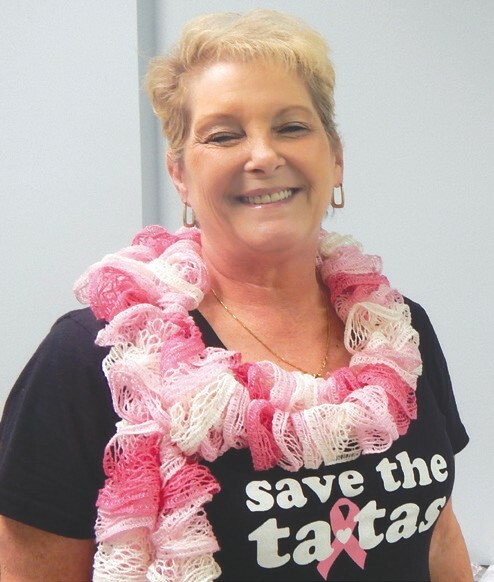 Nancy chose to have bi-lateral mastectomy and has been cancer free since the surgery. Nancy works as a nurse with the Chatham County Health Deptartment. early detection. She also helps get women in for mammograms, pap tests and follows up with them. Susan Madramootoo (right) helped to develop the breast and cervical cancer programs in this area. Both her mother and mother-inlaw are cancer survivors. Her mother, Mary Brown, is on her second bout with breast cancer. The first bout she had a lumpectomy, 13 years later she had a reoccurance in the same breast and had a mastectomy. See page 2 for highlights on Breast Cancer Awareness Month, including more Proud Pink Moments, future events, and facts every woman should know.